Easy Feelin' AKA EZ Feelin were a popular live band in the mid-80s. 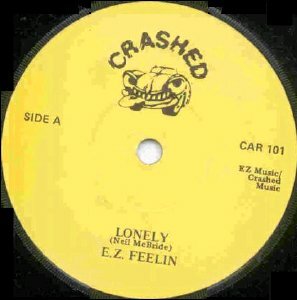 They released three singles on Crashed during 1985-86 and a fourth on Lunar Records in 1988. 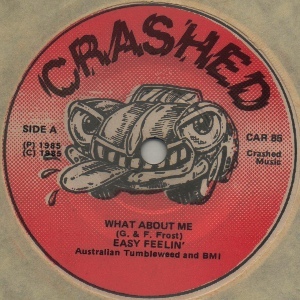 Some sources describe them as heavy metal, so it's possible they went through a metal phase, but their debut single "What About Me" is a faithful cover of the self-pity schlock classic originally recorded by Australian band Moving Pictures in 1981. It's pop rock/pomp rock and frankly the original - however problematic - is better. The B-side of their second single "Giving It All Away" is another cover, also recorded by Roger Daltrey among others. A second pressing of this single has an alternative B-side "The Long Run". I haven't hard it so I can't confirm if it's a cover of The Eagles song. 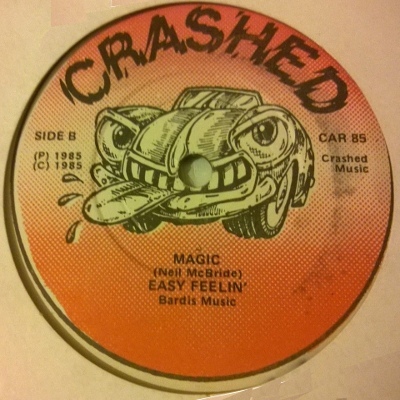 7" - Crashed Records - CAR 85 - 1985 - no PS? 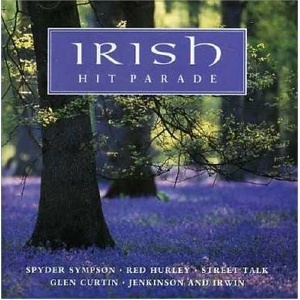 A-side by Gary Frost & Frances Swan, originally a hit for Australian band Moving Pictures. 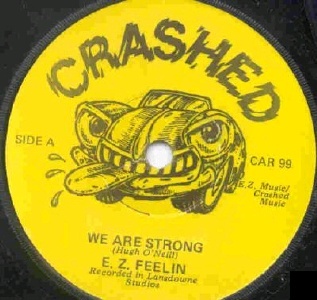 7" - Crashed Records - CAR 99 - 1986? - PS? A-side by Hugh O'Neill. Two different pressings with different B-sides exist. 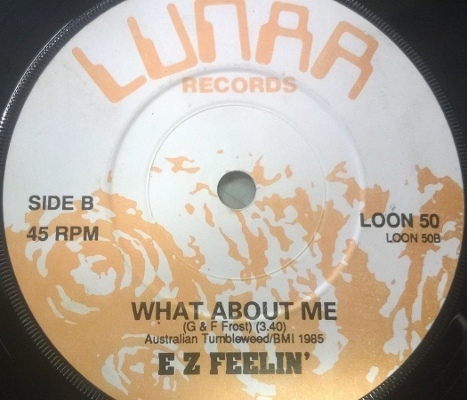 • EZ Feelin - Giving It All Away / What About Me?